Participants who met recommended exercise levels had a 31 percent lower risk of vitamin D deficiency. The most active participants with the highest vitamin D levels had the lowest risk for future cardiovascular disease. Participants who had adequate exercise but were vitamin D deficient didn’t have reduced risk of conditions of heart disease. The study concluded that “In other words, the combined benefit of vitamin D and exercise was stronger than either health factor alone.” At Cooper Complete we offer vitamin D softgels in 25 mcg (1000 IU) or 125 mcg (5000 IU) to help individuals increase their vitamin D levels. Dr. Cooper has also created 8 Healthy Steps, including exercise, to Get Cooperized and improve overall health. As it turns out though, vitamin D relates to much more than just bone health. Thousands of studies are now indicating low vitamin D status as a risk factor for heart disease. Many relationships are being found in cardiovascular conditions including, hypertension, several cancers, depression, diabetes, chronic pain, macular degeneration, poor lung function, and arthritis. 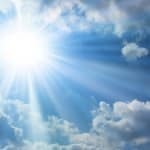 A 2008 study of 1,354 men, ages 40-75, published in The Archives of Internal Medicine, showed those deficient in vitamin D (a blood level less than 15 ng/ml) were 2½ times more likely to suffer a heart attack than those with the highest levels and those heart attacks were more likely to be of the fatal variety. Yet at the same time, studies show that vitamin D levels are dropping throughout much of the world. One factor is most of us spend the majority of our days inside—working and doing indoor leisure activities. Once outside, we increasingly wear to wear sunscreen to reduce our risk of skin cancer. Sunscreen with an SPF of 15 or greater can decrease the synthesis of vitamin D up to 99 percent. What is Vitamin D? Where does it come from? Vitamin D is actually a steroid hormone and not a vitamin. It is manufactured, or synthesized, by our body when UVB light from the sun hits our skin. In addition to the sun, sources of vitamin D include nutritional supplements and diet from fish, milk and fortified cereal. Vitamin D was “discovered” when many children in New England began developing rickets during the winter months. Rickets is a softening of the bones in children that can potentially lead to fractures and deformity (osteomalacia is a similar condition in adults). Limiting sunshine during the day and wearing long pants, coats, and hats due to the cold temperatures makes it hard for the children’s bodies to receive enough sunlight. Vitamin D controls the uptake of calcium into the bones, and many of the children’s bones did not properly calcify. Is your vitamin D level high enough? There is only one way to determine your vitamin D level—a blood test known as 25 hydroxyvitamin D.
For perspective, most people who live near the equator (where UVB light is most prevalent) have vitamin D levels around 70-100 ng/ml. A common target level for vitamin D is open to debate. Most experts agree your vitamin D level should be least 30 ng/ml. However, Cooper Clinic in Dallas, Texas, recommends patients target at least 40 ng/ml as a baseline. One of the best ways to boost your vitamin D level is to use supplements. Research shows Vitamin D-3 is better absorbed and utilized than D-2. How much is needed varies greatly based on age, skin tone, time of year, time in the sun, where you live, weight and other factors. 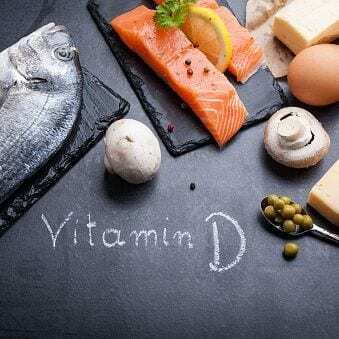 While Dr. Garland and other doctors suggest a daily oral intake of 2,000 to 2,400 IU of D-3 for adults, it’s best to consult with your doctor on what your intake should be based on your vitamin D test results, age, and other health issues. There are two things to keep in mind. One, don’t be surprised if your level is low. If your level is very low (less than 15 or 20 ng/ml), your physician may place you on a prescription vitamin D at a dose of 50,000 IU once or twice a week for a period of eight to 12 weeks. This is known as a “hyper dose” to quickly get your blood level where it needs to be. Second, if your level is deficient, don’t worry. Correcting the problem is easy and inexpensive.